Who needs eggs Benedict? 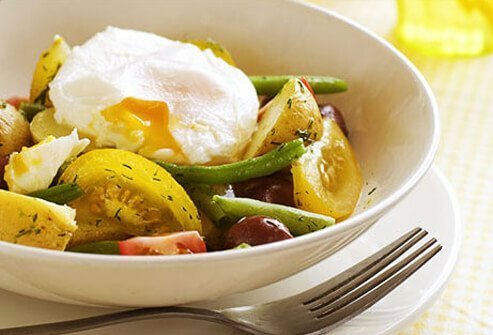 Try zesty, light eggs Italiano. Fresh zucchini and plum tomatoes stand in for heavy hollandaise sauce and Canadian bacon. For a perfect poach, heat 2 to 3 inches of water in a large saucepan until it boils. Turn down the heat to simmer. Break a cold egg into a saucer and slide it into the water. Cook for 3 to 5 minutes until the yolk thickens but isn’t hard. 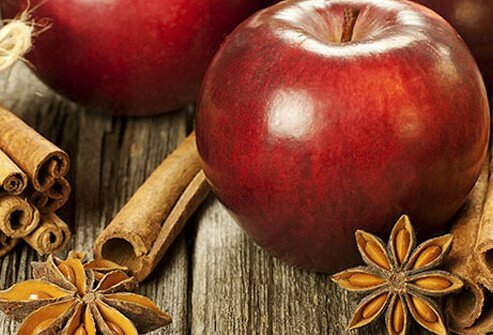 Remove with a slotted spoon. It wouldn’t be brunch without eggs. 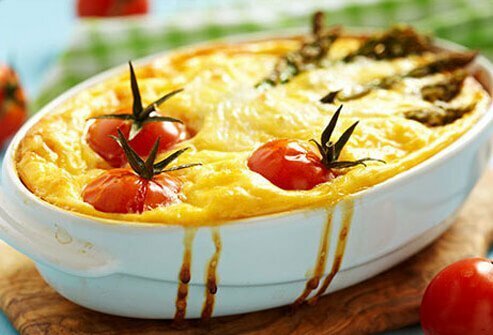 Move beyond the usual omelets and quiches with this cheesy polenta and egg casserole. It marries baked eggs with crumbled Italian turkey sausage and two kinds of cheese. Polenta, an Italian porridge that can be made from any kind of cornmeal, adds creaminess. Pair this casserole with asparagus and tomatoes for a tasty midday meal. 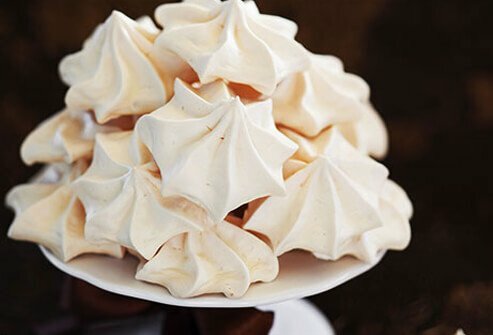 These crispy meringues are pretty and portable. They make an easy and impressive dessert to take to that potluck. You’ll only need 4 ingredients -- egg whites, cream of tartar, sugar, and vanilla extract. 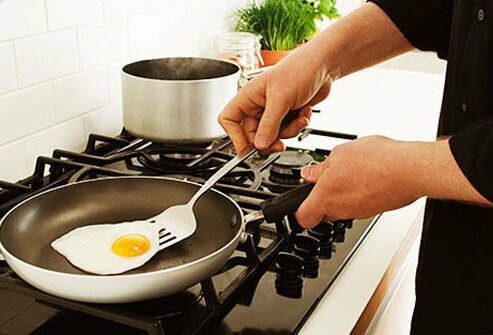 Try this trick to separate the yolk from the white: Crack an egg over a slotted spoon placed on top of a bowl. The yolk will stay on top of the spoon and the white will fall through. Here’s a sweet treat to start your day off right. This baked apple-cinnamon French toast is made with honey, nutmeg, and of course, cinnamon. Make it beforehand, then simply pop in the oven. And it’s not as high in calories as you might think. 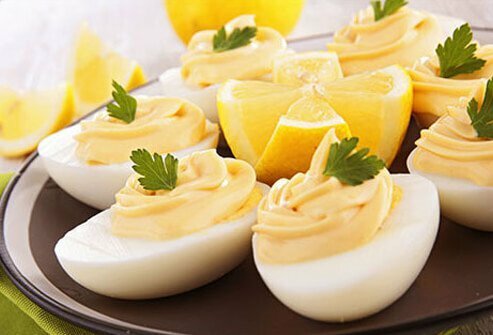 Deviled eggs are your go-to picnic pleaser. Try cutting the fat by replacing some of the egg yolks with nonfat cottage cheese. Or spice up grandma’s recipe by adding a little crab. Need a weeknight dinner recipe that you can pull off quickly? 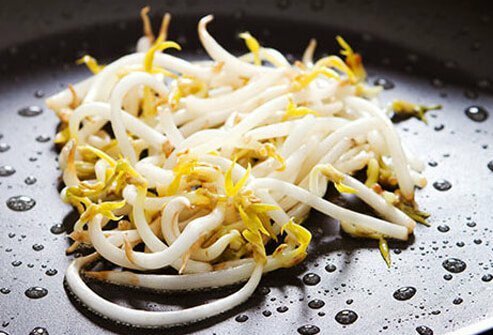 You’ll need bean sprouts, shredded veggies, 4 eggs, and a few staples to make moo shu vegetables, a meatless take on the classic Chinese dish. Enjoy the aroma of ginger and garlic softening in your pan during prep. To save time, use pre-cut veggies like broccoli slaw. Serve with warm whole-wheat tortillas and top with a dash of hot sauce to bring on the heat. Don’t boil them. 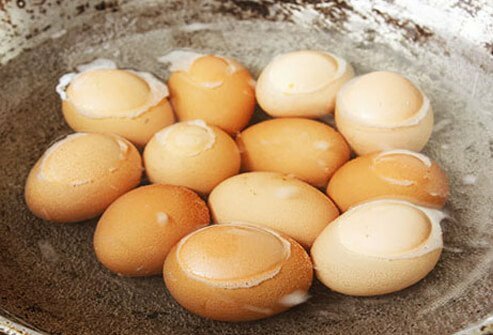 Put eggs in a pan and add cold water so they are covered by an inch. Turn up the heat. When they start to boil, take the pan off the heat and cover. Let them stand in the hot water. Extra-large eggs need about 15 minutes, large ones 12 minutes, and medium eggs 9. To peel, gently tap the egg on the counter and roll between your hands. Start peeling at the large end, holding the egg under cold water. Heat a small bit of butter or cooking spray in a nonstick skillet over medium-high heat. Break the egg and slip it in the pan. Turn the heat to low. Cover and cook 5 to 6 minutes until the whites are set and the yolk thickens. Use the same method and time for over-easy or over-hard eggs, but don’t cover the pan. When the whites are set and the yolk thickens, put a spatula under the egg and flip it. Cook 30 seconds to 1 minute. Does that green tinge to your eggs creep you out? Don’t worry. It doesn’t mean they’ve gone bad. Eggs scrambled in a cast-iron skillet can turn a bit green because the iron in the pan reacts with the sulfur in the egg whites. And that greenish ring around the yolk of a hard-boiled egg happens when eggs have cooked too long at too high a temperature. Whether scrambled, poached, sunny-side up, or in omelets or quiches, eggs are easy, versatile, and inexpensive. 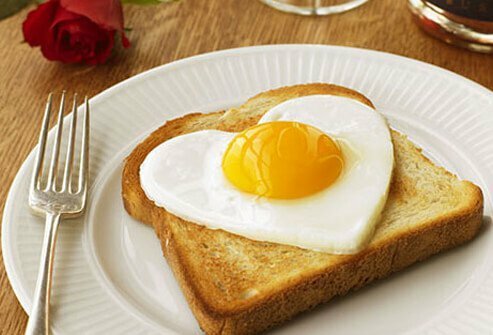 One large egg gives you 6 grams of protein and has lots of vitamins and minerals -- all for only 70 calories. They’re also not the bad-for-you food we once thought they were. Eating an egg a day should be OK for most people. 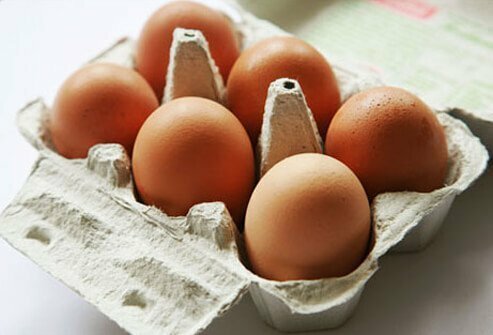 If you’re closely watching your cholesterol, try egg whites. All of an egg’s cholesterol and fat are in its flavorful, rich yolk. 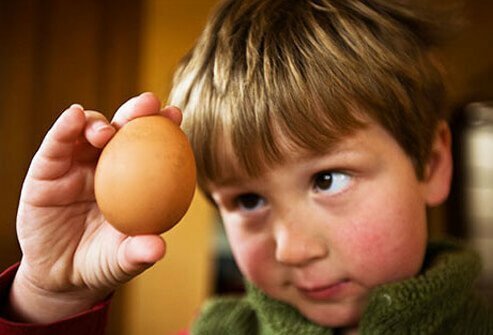 A large egg has as much cholesterol as a single serving of liver, shrimp, or duck meat. The yolk isn’t all bad, though. 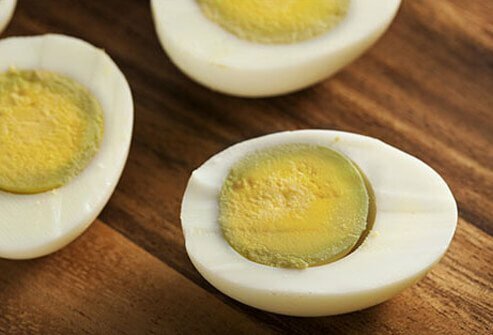 It holds a lot of the egg’s vitamins, including all of its vitamins A, D, and E. About half of an egg’s protein is in the white, which is low-calorie and fat-free. Keep your eggs in the main part of the refrigerator, not the door (even if it has a little egg caddy). The main part of your fridge will keep them colder. And leave them in the egg carton. Not only will it protect their shells, but it’ll also keep them from taking on strong odors and flavors of other foods like fish. As a rule of thumb, use raw eggs within 3 weeks.